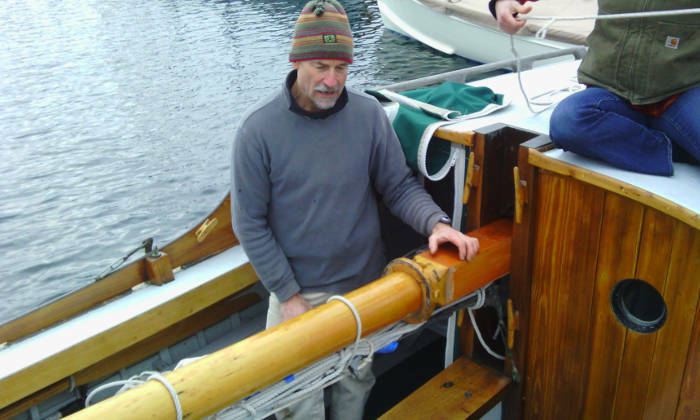 Wooden vessels need a lot of TLC! 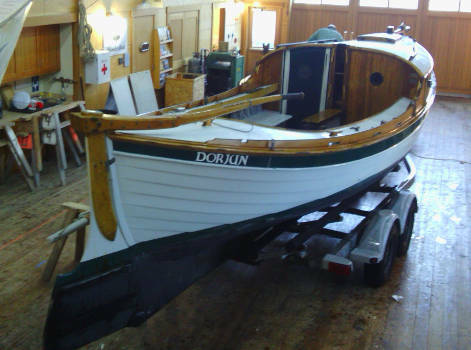 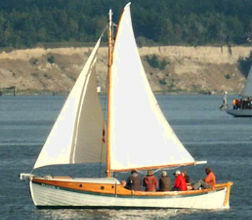 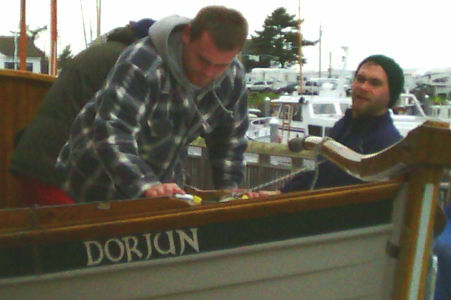 Dorjun was lovingly restored in the 1990s by Bruce Garman, Ed Louchard, and Steve Chapin of Point Hudson Shipwrights, but she still needs her share of maintenance. 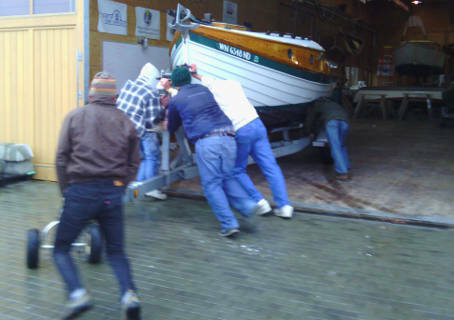 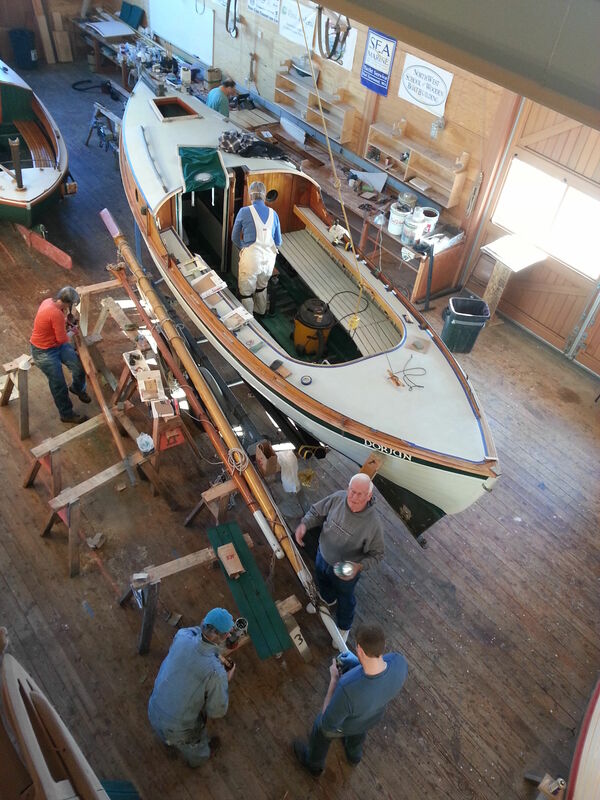 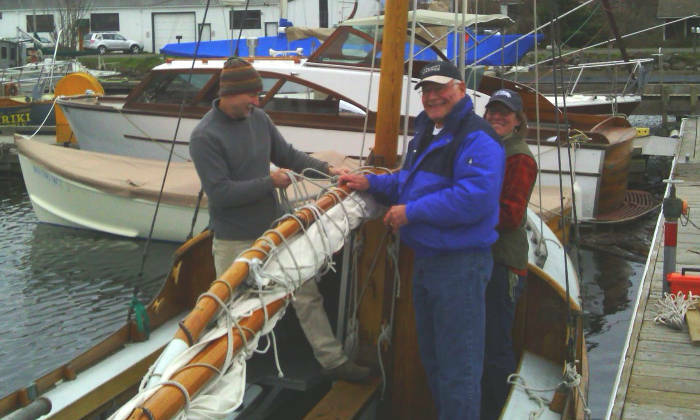 Dec.. 17: Winter Refit and Prep for Alaska Trip Begins! 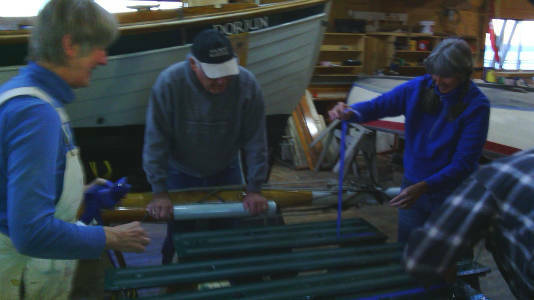 Steve Chapin, Bruce Garman, and Sonya lash the gaff to the boom and start labelling and organizing the spaghetti-tangle of running rigging prior to lowering the mast. 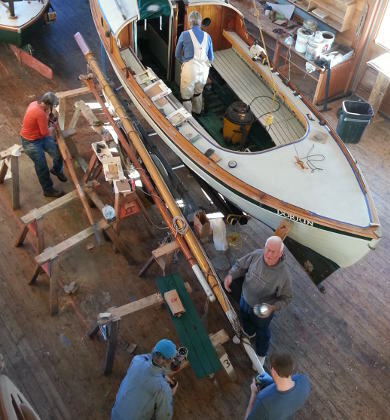 Refit tasks include modifying the outboard well to accomodate the 4-stroke engine, fixing the starboard cabin/deck joint, some re-wiring, and general maintenance.